So, when I had the opportunity to join Tech North’s Northern Voices programme, I jumped at the chance. 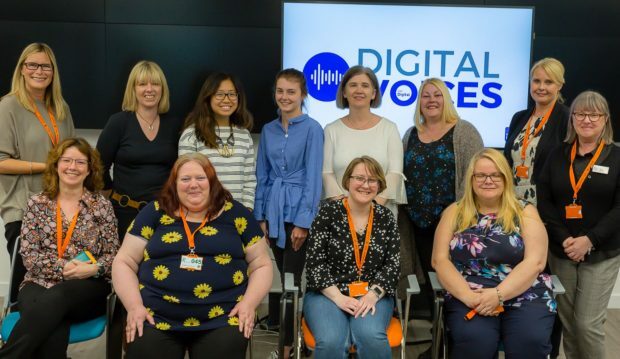 I’m Diane Reddell, a software engineer in DWP Digital, and, having been part of the six-month programme, I was delighted to support DWP as we launched our own similar programme: Digital Voices. 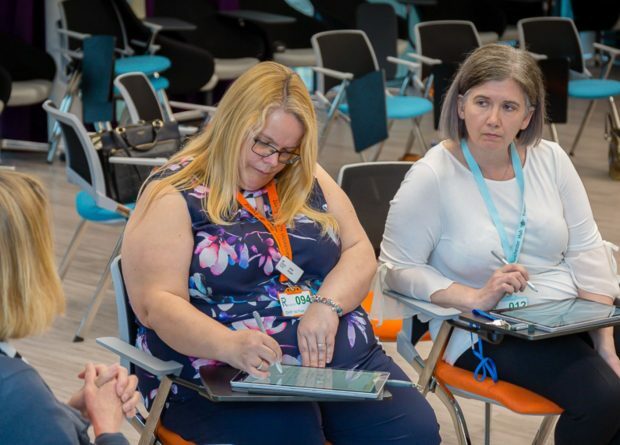 Both the Northern Voices programme and DWP’s Digital Voices aim to challenge the gender imbalance at public-facing tech events, for example, contributors at tech conferences and those speaking out in the media. As a Northern Voice, I was able to build my confidence by writing about my experiences: blogging and writing magazine articles on STEM; participating in panels and giving presentations on a range of subjects including gender equality, building confidence, disability and User eXperience. I’ve taken part in hackathons and attended events such as Generating Routes for Women into Leadership (GROWL) and Tech North’s Job Summit. The biggest benefit of being part of the programme for me was the opportunity to network with other digital professionals and the other women on the Northern Voices programme, who were a source of excellent support. As a result of being part of the programme, I was nominated and inducted into the Northern Power Women’s Top 50 Future List and I recently participated in the Northern Power Women podcast – due for release 3 May. Twelve of our women in DWP Digital have been accepted onto the new three-month programme, and I joined the launch event last Wednesday to meet and support like-minded women. The launch was an inspiring day that helped our new ‘voices’ learn more about the programme, meet people like me who’ve already taken part in similar programmes and take part in practical sessions to boost their confidence. 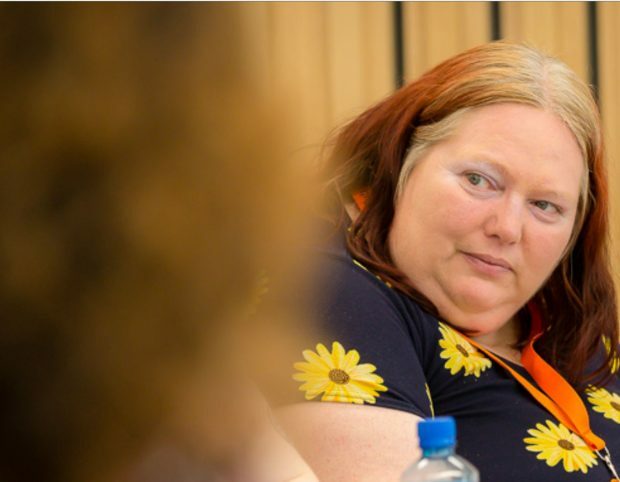 Sue Griffin, Chair of the DWP Women in Technology group and Head of User Support Services at DWP Digital, came along to talk about how she ‘found her digital voice’. Sue explained how it had only been within the last five years that she’d felt truly confident to stand up and speak, and confided that, even now, it can sometimes be hard and can very much depend on the audience. It was reassuring to see that even successful senior leaders can find it daunting! look reasonably professional – because then people will believe that you are! – but don’t be too serious because everyone can appreciate a little bit of humour. With Sue’s tips and offers of support fresh in everyone’s minds, the digital voices took part in some sessions to start to build their confidence. I helped to run a session about what to expect of the Digital Voices programme. I talked about my experience on Northern Voices and gave them my tip: ‘the more you put in, the more you will get out’. Also, to look at our Civil Service Learning resource for information to use in presentations, blogs and creating learning opportunities. During the day, each digital voice participated in a video interview, which gave them the chance to get comfortable with being in front of a camera. As part of the programme, our digital voices have signed up to being more visible – that may include: taking part in events that could be videoed; being interviewed or standing centre stage giving a presentation. So the video interview helped to prepare for future opportunities. The programme is also about making the best use of modern technologies and techniques, including being more active on social media in a professional capacity. A session on blog writing and being a bit more public-facing, was helpful in finding out about embracing social media channels and the different ways to share our ‘voice’. I am active on several social media sites, such as Twitter where I have a large social media footprint: I’m following 2,400+ accounts and have nearly 1,000 followers. It’s a good platform to find out about technical event opportunities and to campaign on diversity issues. I also use LinkedIn – it’s a great platform for sharing my blogs and for writing reviews on the events I’ve attended, such as the Northern Power Women Awards. It’s important to me that we have more visible female role models because if women can see other women succeeding, they are more likely to think ‘I can do that too’, than if they only see men at the top of the profession. It’s a well-known fact that women are under-represented in the digital sector, so if I can be a small part of that shift-change then I’ll have done my bit for a future with gender equality. 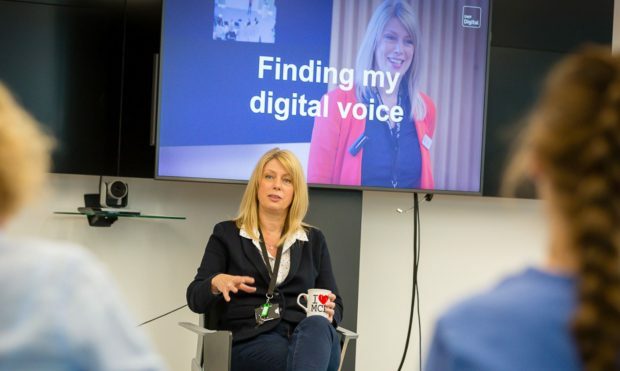 We haven’t got enough women to choose from when we’re asked to speak at digital events so, by running the Digital Voices programme, we’re addressing this issue and ‘growing-our-own’ so we can be a more inclusive workplace. I really enjoyed this first session to launch our digital voices and I’m looking forward to supporting the group and following their progress. To find out more about the Digital Voices journey, subscribe to our blog and follow us on Twitter @DWPDigital. You can also look out for more in my LinkedIn posts at https://www.linkedin.com/in/diane-reddell-02b28a38/. I really enjoyed coming along and having an informal chat with the Group and I'm fascinated to see what strides we all make together this year. Really encouraging blog, Diane. I think the key hurdle is getting started, and then that gives the boost you need to keep going. I'm looking forward to getting involved. Great blog Diane, I'm really looking forward to being involved and growing our collective Digital Voice.